As he lay dying, a billow of dust boiled behind his house on Shirahland Road in Mitchell County. His son and friends weren’t going to let Ray Shirah’s possibly best-ever crop of peanuts not get to market. Ten days ago, I held the hand of my brother-in-law, as he was near the end of a seven-year battle with cancer. Listening to his soft voice, I could see—through the window—the cloud of topsoil being churned by the peanut picker 200 yards away. Forty-eight years ago, on Aug. 23, Ray; his brother, Tim; and their dad, Lamar, parked their peanut pickers early for a special event—a wedding at Hopeful Baptist Church. I can still hear Pam’s dad, “You mean you planned a wedding right in the middle of peanut season?” Lamar said it playfully. And as luck would have it, a thunderstorm rolled through that afternoon. Tractors would have been idle anyway. But “idle” was not Ray’s way or anyone else’s way in his family. “Industrious” comes close to describing their four-generations-deep farming DNA. A parching drought almost killed farming in 1954. A yellowed Atlanta Journal article shows a rail-thin Lamar with his first-in-Southwest-Georgia deep-well irrigation system. Several decades later, Ray was on the cover of Progressive Farmer magazine. He was a pioneer in using a GPS system to guide his mammoth John Deere and tell it how to distribute nourishment to the soil his daddy and granddaddy had plowed—first with mules and then with toy-like Ford 8-N tractors. Ray remembered the day he had trouble swallowing. Tests determined there was a problem with his esophagus. Cancer was the culprit. His doctor warned, “You might have six months.” That was in 2010. Every day, he prayed for the strength to beat the odds. And before long, he was sharing his story from pulpits across the rural landscape. Several in those congregations took heed and caught their cancer earlier. They rejoiced to be alive and to be able to thank him. 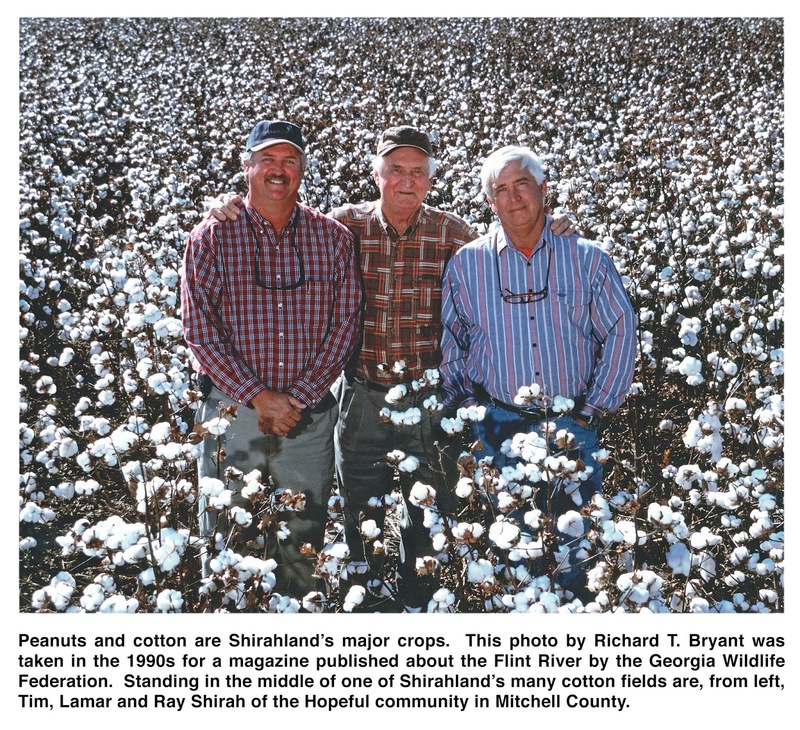 When Ray left Abraham Baldwin Agricultural College (ABAC), he knew where he was going—back to the farm. He was a farmer’s farmer, but he was so much more. He learned to fly his Cessna 172, and he enjoyed the aerial views of his family’s farms. Ray had the patience of Job, taking things apart and putting them back together. He was a good teacher. More than once, he traveled to South America to teach farmers how to operate and maintain giant cotton combines. Like his dad—with a toolbox—he could fix just about anything. He couldn’t fix his health, but he fought to stay mentally and spiritually healthy. Even in the slog of round after round of chemo treatments, he found the strength to stay competitive with his shotgun in sporting-clay events. And when you thought “there’s no way,” Ray and Angie would be off on a snow-skiing or scuba-diving adventure. Two weeks before his heart gave out, he announced, “Let’s go camping.” With another couple, they hitched his fifth-wheel to his throaty diesel Ford, and off they went to Lake Seminole. A happy time for Ray was when he was immersed in music, especially if he was strumming his guitar. Even in his illness, he never lost his sense of humor. His loudest laughs were on himself. I couldn’t say it any better. Rest in peace, my brother.